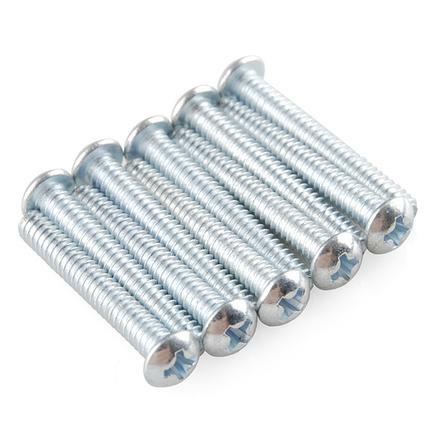 "This pack of 4-40 screws comes with a matching hex key. Each screw is 10mm in length. These are left over production stock from the original version of the BigTime Watch Kit so they won’t be around for long. 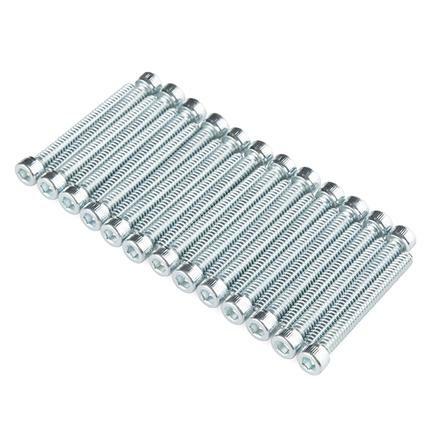 Includes: 4x screws 1x hex key Dimensions: 10mm long"
"These zinc-plated socket head machine screws are 1"” long and have a tread pitch of 6-32. Sold in packs of 25. 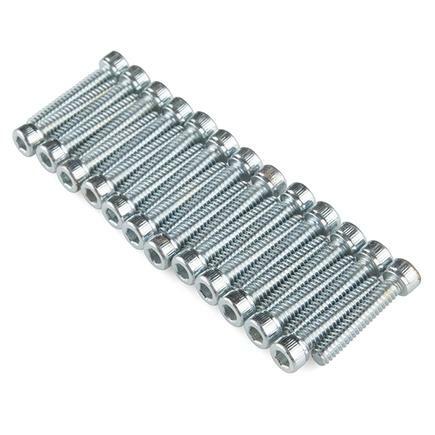 Note: These screws require a 7/64" hex key and work with all 6-32 Actobotics products. 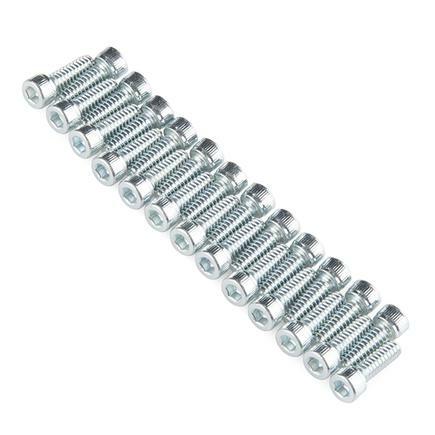 Dimensions: Length - 1” Thread Pitch - 6-32 "
"These zinc-plated socket head machine screws are 1-¼"” long and have a tread pitch of 6-32. Sold in packs of 25. 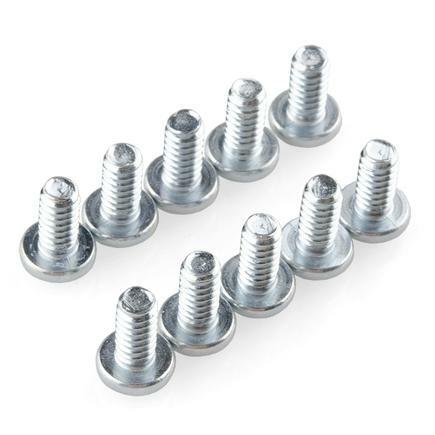 Note: These screws require a 7/64" hex key and work with all 6-32 Actobotics products. 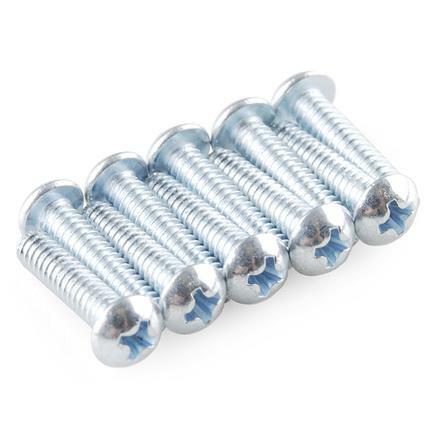 Dimensions: Length - 1-1/4” Thread Pitch - 6-32 "
"These zinc-plated socket head machine screws are 1-1/8"” long and have a tread pitch of 6-32. Sold in packs of 25. 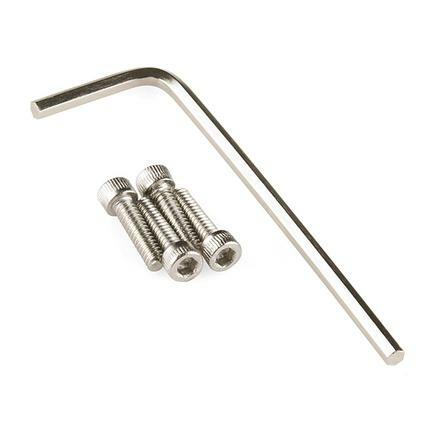 Note: These screws require a 7/64" hex key and work with all 6-32 Actobotics products. Dimensions: Length - 1-1/8” Thread Pitch - 6-32 "
"These zinc-plated socket head machine screws are 1/4” long and have a tread pitch of 6-32. Sold in packs of 25. 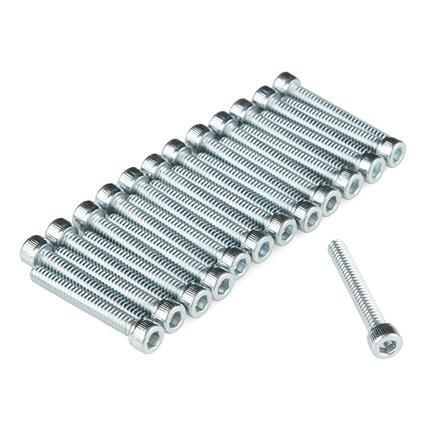 Note: These screws require a 7/64" hex key and work with all 6-32 Actobotics products. Dimensions: Length - 1/4” Thread Pitch - 6-32 "
"These zinc-plated socket head machine screws are 3/4” long and have a tread pitch of 6-32. Sold in packs of 25. Note: These screws require a 7/64" hex key and work with all 6-32 Actobotics products. Dimensions: Length - 3/4” Thread Pitch - 6-32 "
"These zinc-plated socket head machine screws are 3/8” long and have a tread pitch of 6-32. Sold in packs of 25. 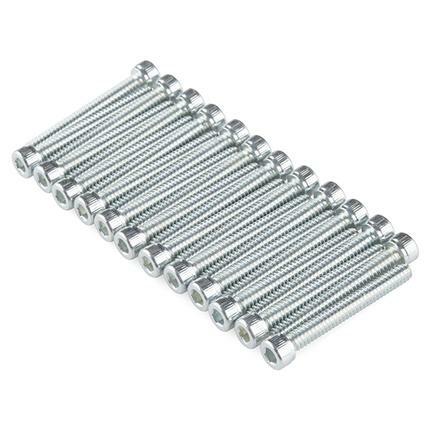 Note: These screws require a 7/64" hex key and work with all 6-32 Actobotics products. 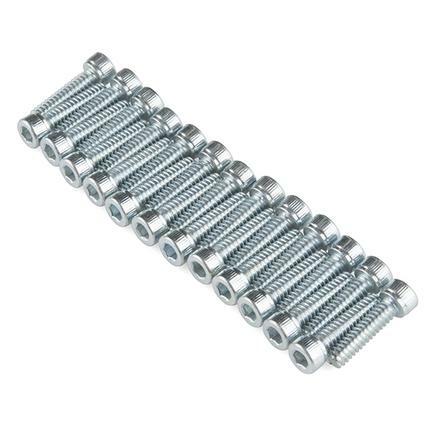 Dimensions: Length - 3/8” Thread Pitch - 6-32 "
"These zinc-plated socket head machine screws are 7/16” long and have a tread pitch of 6-32. Sold in packs of 25. Note: These screws require a 7/64" hex key and work with all 6-32 Actobotics products. 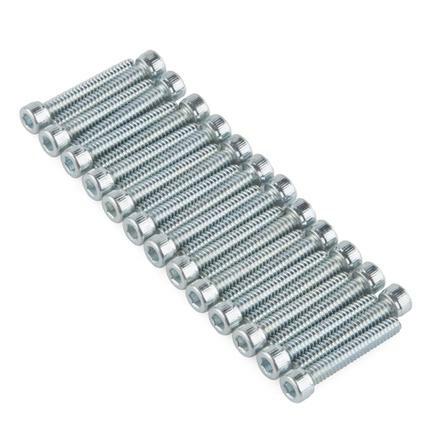 Dimensions: Length - 7/16” Thread Pitch - 6-32 "
"These zinc-plated socket head machine screws are 7/8” long and have a tread pitch of 6-32. Sold in packs of 25. 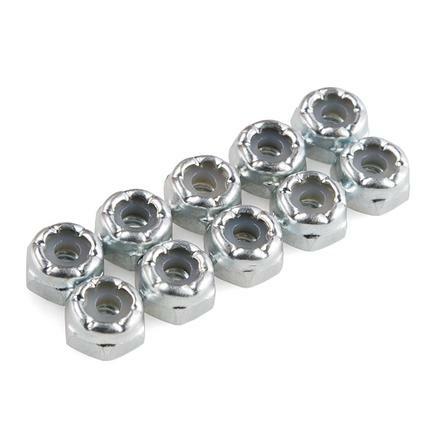 Note: These screws require a 7/64" hex key and work with all 6-32 Actobotics products. 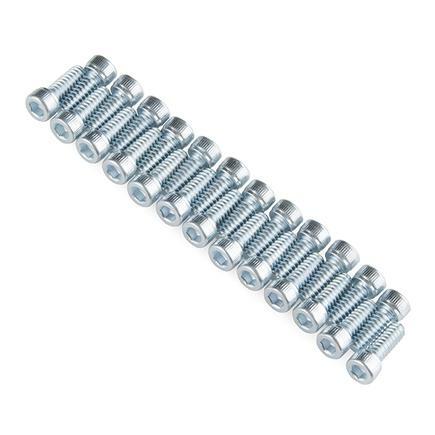 Dimensions: Length - 7/8” Thread Pitch - 6-32 "
"These zinc-plated socket head machine screws are 9/16"” long and have a tread pitch of 6-32. Sold in packs of 25. 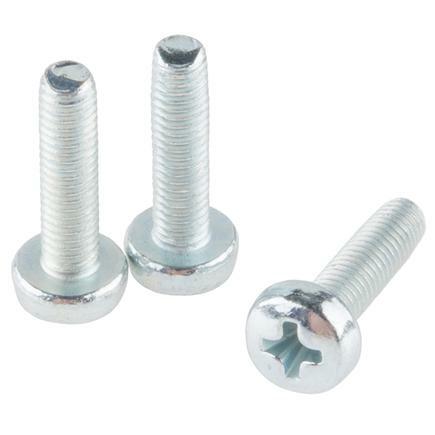 Note: These screws require a 7/64" hex key and work with all 6-32 Actobotics products. 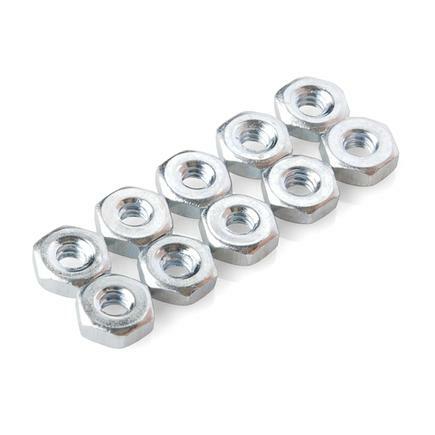 Dimensions: Length - 9/16” Thread Pitch - 6-32 "
"Description: These are standard nuts with 2-56 thread. For use with 2-56 machine screws and five button pad set listed below. Sold in single units." 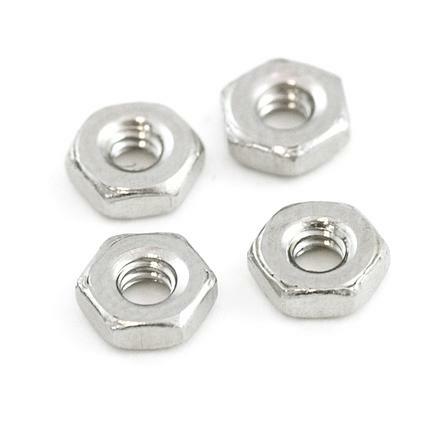 "Description: These are standard locknuts with 4-40 thread. 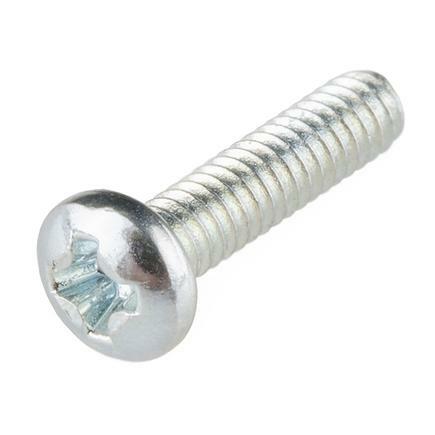 For use with 4-40 machine screws. They have a nylon insert that allows them to stay tightly in place. Note: These come in packs of 10." "These are Philips-head M3 screws. They are 12mm long and come in packs of three. This is the screw size that the MiP robotic Platform and its add-on boards uses. Check below for the associated hardware." "Standard Philips-head 4-40 screws. They are 1" long and come in packs of ten. This is the screw size we use in most of the holes for our breakout boards. Check below for other associated hardware." "Standard Philips-head 4-40 screws. They are ½" long and come in packs of ten. This is the screw size we use in most of the holes for our breakout boards. Check below for other associated hardware." "There are your standard Philips-head 4-40 screws. They are ¼" long and come in packs of ten. This is the screw size we use in most of the holes for our breakout boards. Check below for other associated hardware." 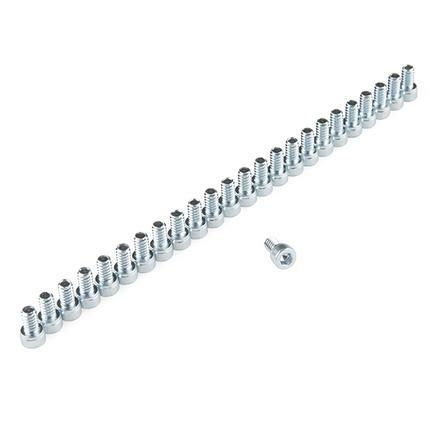 "Standard Philips-head 4-40 screws. They are ¾" long and come in packs of ten. This is the screw size we use in most of the holes for our breakout boards. Check below for other associated hardware." 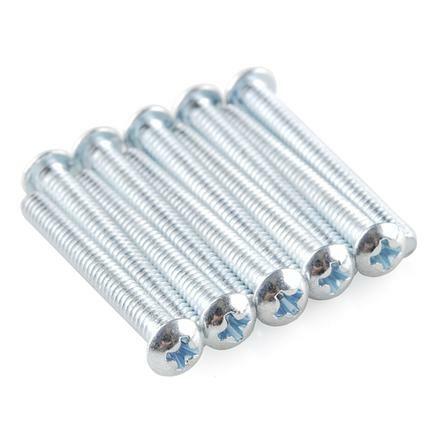 "These are standard screws with 2-56 thread and 3/8" long, recommended for the small button pad sets. 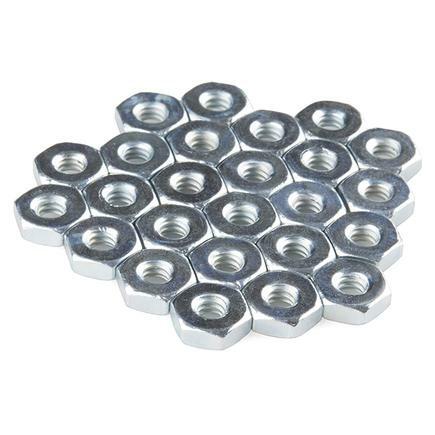 Can be used with a 2-56 nut. Sold in single units."